Balanophora is a flowering plant that parasitizes roots of trees. It belongs to a tropical family, Balanophoraceae. 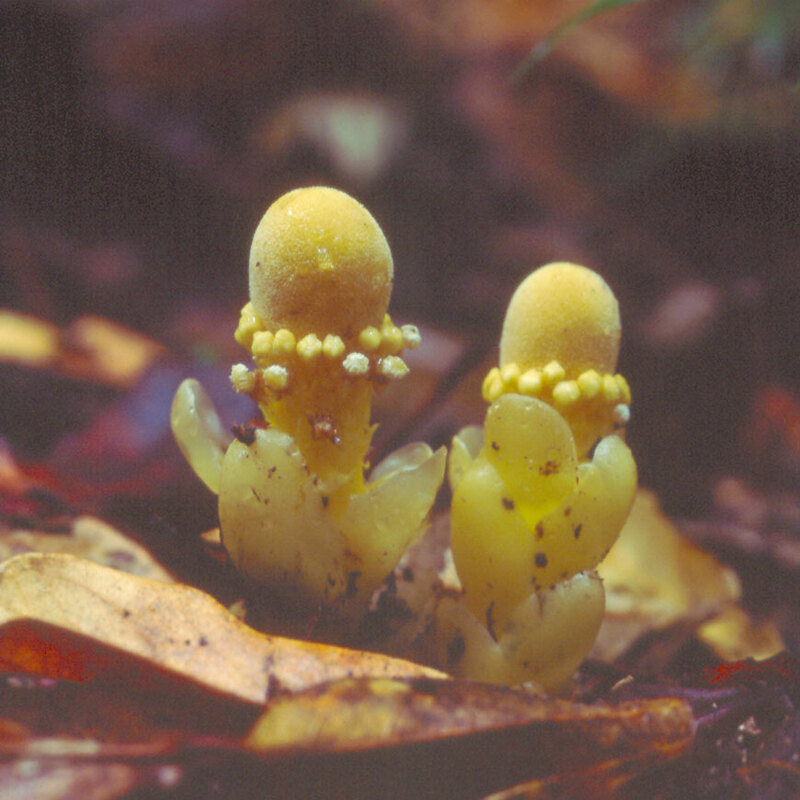 This is Balanophora fungosa, on the forest floor of Mossman Gorge, near Cairns in Queensland, Australia. Notice the pale colored modified leaves at the bases of these two shoots. Balanophora is entirely lacking in green pigments.